Threat: The project applicant proposes 340 hilltop houses on 469 acres. Description of the Issues: Concerns include inadequate emergency evacuation, risk of wildfire, excessive water use, proximity to hazardous materials and an earthquake fault, impacts to Chino Hills State Park, loss of endangered species, and inadequate project access. The FHBP Board of Directors voted to oppose the project and signed on as a co-petitioner to the lawsuit in July 2015. The Board of Supervisors approved the project (4-1) in September 2018. A new lawsuit was filed in October 2018 challenging the decision. Specific items from the original 2015 lawsuit were appealed and the Fourth District Court of Appeals ruled in Petitioners (our) favor. In April 2018, the court order the project approvals and Environmental Impact Report overturned by August 1, 2018. It was overturned. A California Environmental Quality Act lawsuit was filed by Protect Our Homes and Hills with Friends of Harbors, Beaches and Parks, Hills For Everyone, and Endangered Habitats League as co-petitioners in June 2017. The Board of Supervisors approved the revised project with a 4-1 vote (Spitzer opposed) in May 2017. The Board of Supervisors overturned the project, its approvals, and its environmental documents in December 2016. The Writ of Mandate determined the Greenhouse Gas section of the Environmental Impact Report to be inadequate, as well as its deferred mitigation in August 2016. 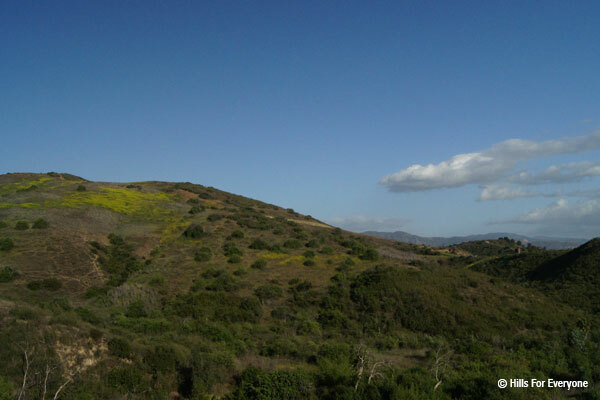 A California Environmental Quality Act lawsuit was filed by Protect Our Homes and Hills with Friends of Harbors, Beaches and Parks, Hills For Everyone, Endangered Habitats League, and California Native Plant Society as co-petitioners in July 2015. 4-1 approval of the Esperanza Hills project proposal in September 2018 by the Orange County Board of Supervisors: Andrew Do, Michelle Steel, Shawn Nelson, and Lisa Bartlett. Supervisor Todd Spitzer opposed the project. 4-1 approval of the Esperanza Hills project proposal in May 2017 by the Orange County Board of Supervisors: Andrew Do, Michelle Steel, Shawn Nelson, and Lisa Bartlett. Supervisor Todd Spitzer opposed the project. Unanimous approval of Esperanza Hills project proposal in June 2015 by Orange County Board of Supervisors: Andrew Do, Michelle Steel, Todd Spitzer, Shawn Nelson, and Lisa Bartlett.